How To Protect Your Teeth For A Healthy Mouth! Losing a tooth to injury or decay can have lifelong consequences. 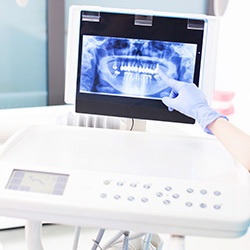 Thankfully, today’s dental care experts can help you regain your smile and your teeth’s ability to function optimally even if you end up missing a tooth. Procedures such as dental implants or crowns can restore your beautiful smile. However, it’s in your best interest to do everything in your power to protect your teeth and keep them strong and healthy for as long as possible. Dentists everywhere can’t emphasize enough how important it is for you and every member of your family to practice good oral hygiene on a daily basis. Regular brushing and flossing keep bacteria at bay, preventing excessive plaque buildup that can lead to tooth decay. Over time, teeth that have been neglected because of poor oral hygiene become more at-risk for succumbing to infections and serious decay. If your tooth enamel has suffered too much, and the roots have been compromised, sometimes the only viable solution is to extract the tooth. To avoid this down the road, brush and floss your teeth daily, and teach your children to do the same. 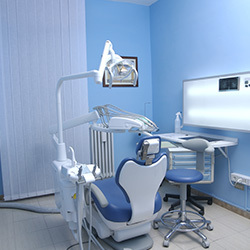 To avoid unexpected emergency visits to the dentist, schedule cleanings and checkups every year. A professional dental cleaning can remove stubborn plaque buildup that a toothbrush may not be able to reach or adequately eliminate. After a cleaning, your teeth will feel smooth and your mouth will feel extra clean! 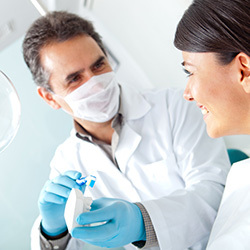 Checkups are important because they let your dentist keep track of any potential issues that may arise. By catching these issues early, solutions can be achieved that are less expensive, simpler, and quicker to take care of than emergency dental care would be. Protect your teeth by scheduling your next checkup with Dental Savers in Fairless Hills, PA, today! If you or your children are involved in sports, be mindful of your teeth. Contact sports in particular can be detrimental to the integrity and health of your teeth. We’re not suggesting that you stop taking part in your favorite sporting activities! But we are recommending that you take the proper precautions to eliminate any painful injuries to your face, particularly to your mouth and teeth. Wear mouth guards or face guards, and be sure to avoid taking any unnecessary risks that may cost you your teeth. A great tool pediatric dentists have on hand to protect children’s teeth is the ability to seal the molars using dental sealants. Especially with young children who sometimes forget to brush their teeth or who often consume sweets and other sticky snacks, sealants provide a great way to keep bacteria from multiplying and wreaking havoc. What are dental sealants? They’re simply a barrier your child’s dentist can easily and quickly apply to the back teeth during an in-office visit. The protective sealant coating is applied to your child’s molar surfaces as a thin layer of liquid that hardens as the dentist dries it quickly. The process is simple and painless, and it can often protect your child’s teeth from developing cavities throughout childhood and even adolescence. Ask your family dentist about the benefits of dental sealants for children. Avoid snacks that are sticky and overly chewy, such as toffees and caramels, that can get stuck to your teeth and increase plaque buildup. Don’t eat foods that can accidentally chip or crack your teeth (unpopped popcorn kernels come to mind). Make sure to brush your teeth with a fluoride-based toothpaste. Avoid drinking soft drinks, and even too many fruit juices, since they can wear down your teeth and increase the likelihood of cavities developing. Don’t use your teeth to crack nuts open, to cut things, or try to pull open packages. Use the right tools instead; scissors were invented for a reason, after all! By following healthy practices to protect your teeth, you’ll increase your chances of keeping your natural teeth for as long as possible, as well as avoiding unexpected trips to the emergency dentist. Dental Savers in Fairless Hills, PA, offers services for the whole family. Our qualified, compassionate staff is here to serve you, providing outstanding dental care to improve your quality of life. If it’s been a while since your last checkup, why not schedule an appointment with us today? We also offer professional teeth whitening services to improve your smile, boost your confidence, and in many cases, help you move forward in your career! Whatever you may need, from veneers and laminates to removable dentures, we’re here to help you through gentle dentistry for the whole family. Reach out to us today!